Working with Eddie Tawil On the purchase on my new Jeep SRT made the ownership experience that much better. From the first meeting I was made comfortable, to the delivery experience and vehicle walk through. Looking forward to working together in the future on another Jeep! The service was tailored to my needs- I felt more like a family then a costomer - I received support from beginning to the end-It was amazing. Thanks a million Eddie and Shaf! Went in with my father to purchase the dream car I've always wanted. The staff were very professional and answered all of our financial/vehicle questions. Cosimo was very reasonable with us and didn't sugar coat any of the details surrounding the vehicle and purchasing. Marc was very helpful in the finance department ensuring the best possible outcome for the customer. Overall, a very awesome experience - would highly recommend!! My husband and I went into the dealership looking for a new dodge caravan as we had also bought our first one there. 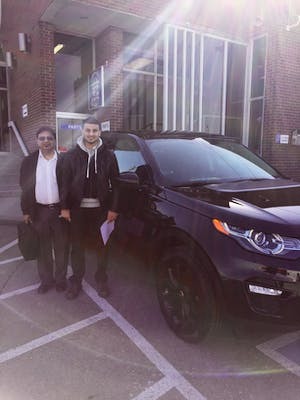 Cosimo helped us and we were very impressed by his knowledge and expertise and would have no hesitation in recommending him to anyone looking for a new vehicle. Stephanie was also excellent in finalizing the paperwork. Thanks. to you both. I came in looking at a new Jeep, and Eddie treated me with such respect and was not like your typical car salesman. I would recommend to anyone looking for any Chrysler product to attend Seven View and ask for Eddie!! You will not be disappointed. My husband and I came in to "just look" for a Caravan. Eddie Tawil gave us everything we were looking for, all the options plus more that we didn't think we wanted, but so happy we received and at an amazing price. From the day we purchased to the day we picked up the vehicle, it was a wonderful experience. We will definitely recommend this dealership and salesperson to all our friends and relatives. Showed me few vehicles for my girlfriend, did not push me to buy expensive vehicles more less found me way cheaper vehicles and affordable in good condition. I had a great experience with Eddie at Seven View Chrysler. Eddie was very helpful, and gave me the best price possible. Gave me a good price from day 1, and did not waste my time. Would recommend Eddie to anyone looking for a vehicle from Seven View. After shopping around and visiting several other dealerships, I knew Sevenview was the right dealer for me. They were very welcoming, polite and professional. They really work with you and your best interest in mind. My husband and I had very specific needs and price range. Eddie was respectful and listened to what we wanted and was able to deliver and didn't waste our time trying to sell us things we didn't want. Thanks to Cosimo for his patience and diligence in finding the best vehicle within my price range, as well as the right color. I just didn't like white - lol :). Absolutely love my Jeep - fits like a glove - Cheers !! Mike B is a good guy bought my van from him easy guy to deal with doesn't pressure you. This is my second vehicle i bought from him and ill buy from him again for sure. i recommend him to anyone that goes to seven view. Sales Rep Mike Blanda is a very knowledgeable friendly person to deal with, probably the best car sales person I've ever bought from. I would definitely recommend Mike if your shopping around for a new or used vehicle. A++ Shaf the business manager was also a nice guy with lots of experience to offer. Cosimo and Stephanie were fantastic. Found me the car I was looking for, quoted me a competitive price and a fair value for my trade-in. Bought a new jeep recently and the experience was good over all. Delivery took less time than I expected which made me happy. A little far for me to go back but would recommend to others. Eddie is kindly and professional and he will get what your need and get the best deal for you. Highly recommended! The SevenView is neat and large with very nice people from front to the end. This is my second time and I know that I will go there again! I have been a customer of Seven View for many years and all my experiences have been very positive. 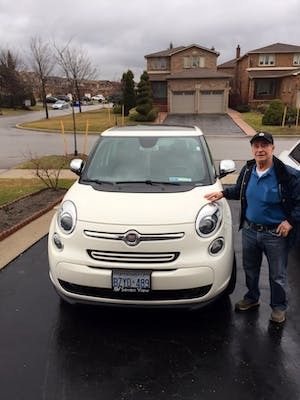 Robert Magarelli is always there for me when it's time to replace a car and I am confident in knowing I am getting a fair price for a quailty vehicle and exceptional service. I have recommended this dealership to family, friends and business associates over the years and they have become repeat customers as well. Highly recommend Seven View, family business, great people! Thank you Seven View! Had an awesome experience at Sevenview for the second time and a great deal on the vehicle. Eddie is a great guy and very helpful. Thank you! 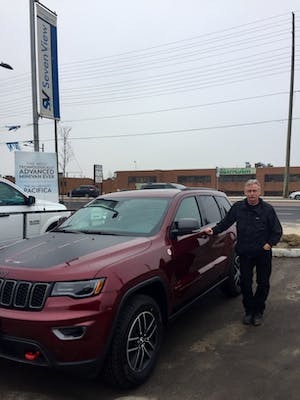 I just recently purchased my second vehicle from Eddie at Sevenview Chrysler. He waited for us to get there even though we could only go in the evening and he was already finished for the day. He still made time for us and didn't rush us, always asks about our kids and is just a really nice person. We went in on a Wednesday evening to look at the truck and picked it up the following day. I will definitely be buying my third vehicle from them! Alex Have exceeded my expectations. Went above and beyond to earn my business and Robert (manager) sweetned the deal gave me free service and all weather floor mats. I have purchased 4 cars/pick ups from Eddie over the past few years & it is always a pleasure dealing with him. He is a great person to deal with & I have always been satisfied with the deals we make. The place to go for a new vehicle, talk to Eddie. You can depend on great service! 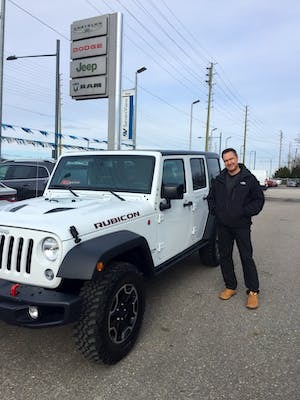 Hello - just a quick note to thank Ed and the staff at Seven View for putting together an easy and great deal on my new Jeep Wrangler. Fantastic to work with and very pleased with my new vehicle ! Made me feel comfortable and not overbearing. Willing to negotiate. Salesman showed genuine concern in giving me the best price for the veihicle. Paul our salesman was nice enough to watch our kids 3 and 4 year old and give them pizza while my wife and I went for a test drive. All the way! Was interested in an advertised deal. Almost all communication was through email and was very easy. Picked up the vehicle without any issue. Pleasure to deal with. My first time buying a new car went smoothly, thanks to Mike . He did everything from filling out all the paperwork to recharging the car battery in the snow so I could take the car for a test drive. The Ford Mustang and a trade-in, not a brand this dealership usually sells, but somehow he knew all the ins and outs of the car. Michaels friendly and informed, and I'm glad she was there to help me switch over from my 19 year old car to a great 2014 one! What can I say! From start to finish it was the best experience I've ever had purchasing a car. 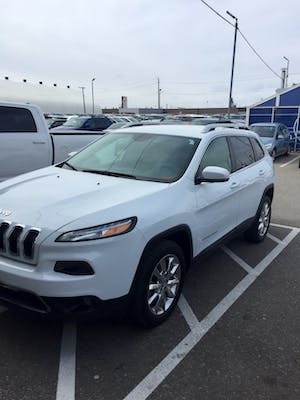 I called in to inquire about a Jeep and was connected to Cosimo. He made time for me to come in and test drive the car. Within the hour we worked a deal out. I never felt pressured and always felt like he as well as the dealership were helping me not forcing me into a vehicle. 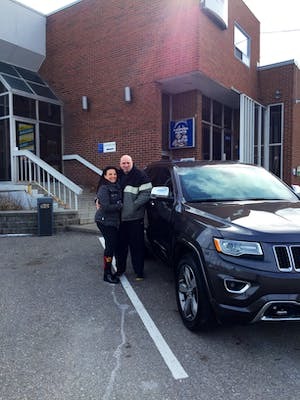 I am a happy Jeep owner and frequently refer friends and family to Cosimo at Seven View Chrysler. Paul was great to deal with from the first call to signing the paperwork. I would certainly consider buying another SUV from Seven View. I recommend giving Paul a call. Just want to say "Thank-you" to Paul Roccatani for the service. Very friendly, courteous and straight forward on my Caravan purchase. I'll be back soon to purchase the next vehicle. I purchased a grand caravan and came by to do an oil change for my vehicle and forgot my wallet at home, Alex took care of myo bill and I was very pleased by his generosity. I would anyone going to him if you are in the market for a new vehicle.